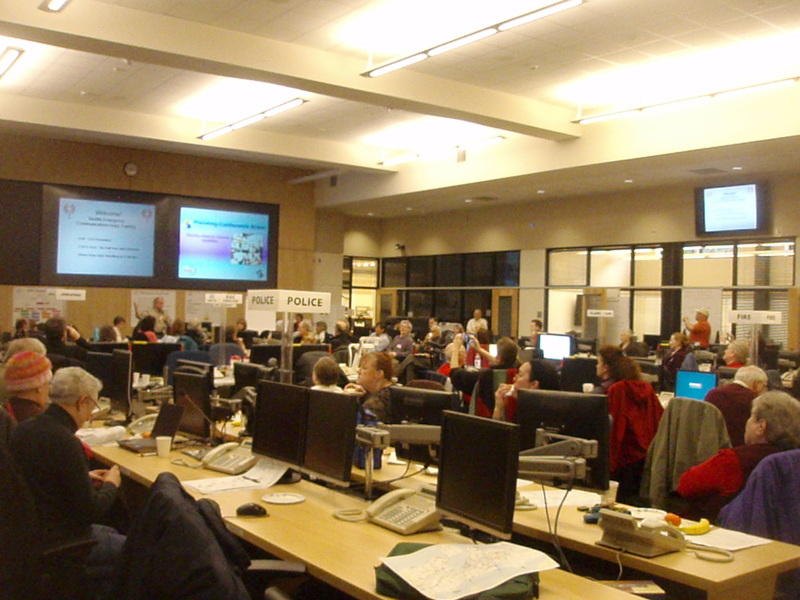 We had a great turnout for last Saturday’s Hub role training at the Emergency Operations Center! Thanks to those of you who attended! We had a large contingent from West Seattle, plus hub counterparts from many other Seattle neighborhoods. You’ll find some additional photos taken by the MIQA (Magnolia – Interbay – Queen Anne) group posted on Facebook (you’ll need to have a Facebook account and login in order to view them). This entry was posted in Events, Outreach events & festivals and tagged Mark Howard, Office of Emergency Management. Bookmark the permalink.